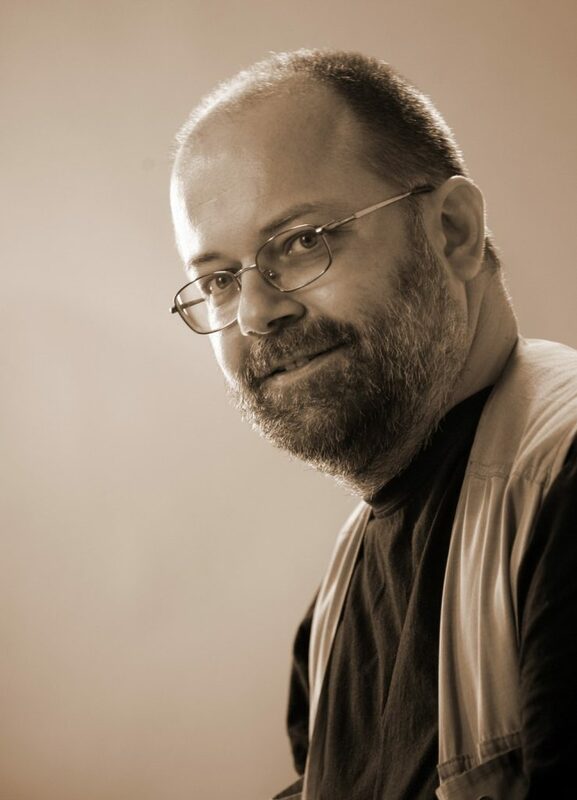 Andrej E. Skubic was born in 1967 in Ljubljana. He graduated from Slavic Studies and English at the University of Ljubljana’s Faculty of Arts. His long-time study of language, which is evident also in his prose style, reached its coronation in Sociolekti v jezikovni stvarnosti in literarnem delu (Sociolects in Linguistic Reality and Literature Work), his 2003 doctoral dissertation. He is a writer, translator and linguist. His works include the novels Grenki med (Bitter Honey, 1999), for which he won both the Slovenian Book Fair Award for the best first novel and the Kresnik Award for best Slovenian novel of the year, Fužinski bluz (Fužine Blues, 2001), Popkorn (Popcorn, 2006), the novel-diptych Lahko (You Can, 2009 ), Koliko si moja (How Much Are You Mine?, 2011), for which he received the Kresnik Award and the Prešeren Fund Prize, Samo pridi domov (Just Come Home, 2014), for which he won the Kresnik Award for the third time, and the most recent story Igre brez meja (Games without Frontiers, 2015). He has also written the short story collection Norišnica (Madhouse 2004); his linguistics book Obrazi jezika (Aspects of Language, 2005) deals with the sociological aspects of language. As a translator he has translated a number of authors from English, including Flann O’Brien, Irvine Welsh, Patrick MacCabe, James Kelman and Gertrude Stein. As well, he participated in providing translations, for anthologies, of selections from James Joyce’s poetry and short fiction (2002) and in Samuel Beckett’s selected works (2004–2006). He has received the Župančič Award and the Sovre Award for his work as a writer and a translator.